Most of the Australia winners went on to win at the World Championships in New Zealand just 2 weeks later. There were 8 men’s classes, including the 4 Open Classes, Men’s Junior, Men’s Novice, Men’s Masters and for the first time, a Men’s Fitness class. 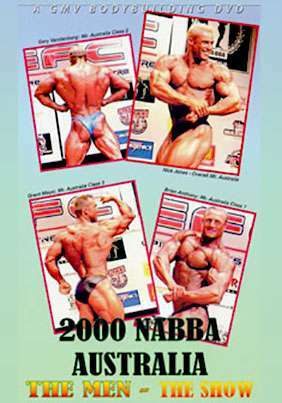 This year held in Queensland, the 2000 Australia was a showcase for local, national and international talent. International – because most of the Australia winners went on to win at the World Championships in New Zealand just 2 weeks later.